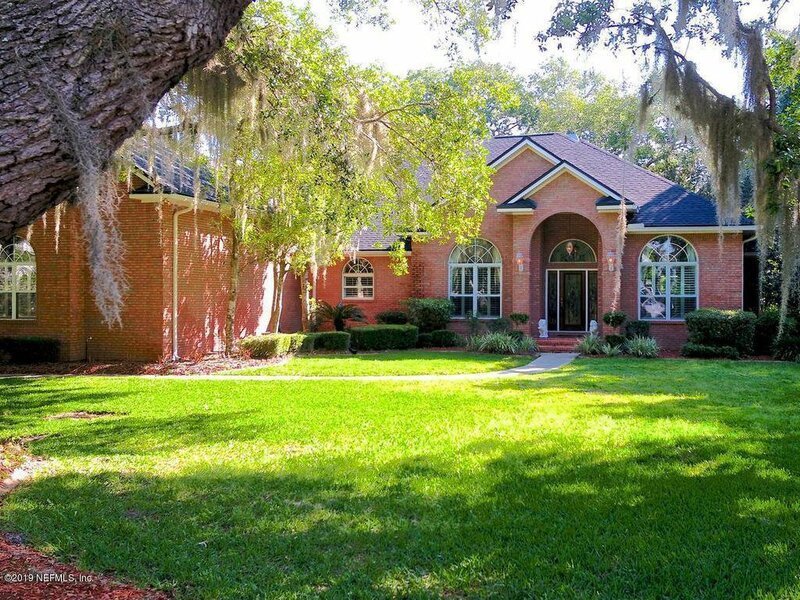 Through a lush canopy of century old oaks awaits your new home at 2014 Salt Myrtle Ln. This executive style, all brick custom built home is situated on a large half acre lot in the estate section of Pace Gardens. Sitting in a prime location, you have breathtaking views of Doctor's Lake from the front yard and an equally gorgeous view of a winding lagoon from the back. Inside you will find plenty of charm with real wood floors, soaring 12 ft ceilings, extensive crown molding, gas fireplace, fantastic open floor plan and plenty of windows to let in natural light and scenic views. Pace Island is Fleming's elite & only 24hr manned gated community featuring 2 pools and swim team, neighborhood dock, remodeled tennis courts and tennis team, clubhouse, playgrounds and monthly neighborhood events! Listing courtesy of BERKSHIRE HATHAWAY HOMESERVICES FLORIDA NETWORK REALTY. Selling Office: 1st CHOICE REAL ESTATE LLC.